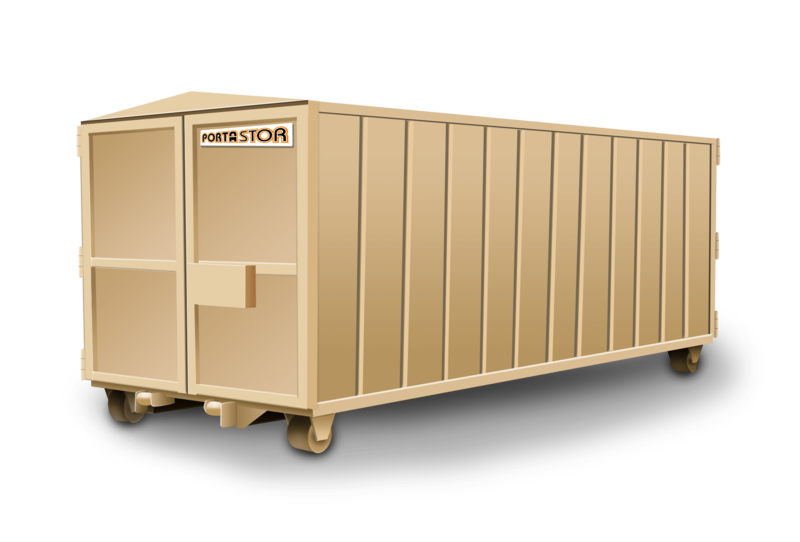 Our 22 foot roll-off storage containers are made for many medium size applications. The most popular for this size includes construction jobs, home organization, remodels or businesses in need of extra space. This size can fit in most driveways (we recommend you measure first to be certain) and fits on small to large job sites with ease. So whether you are remodeling, cleaning out your garage, storing tools or storing inventory, our 22 foot roll-off storage containers suits most medium sized project needs. • Width From Outside Hinge: 8 ft.
• Height From the Ground: 8 ft 4 in. • Length: 21 ft 9 in.